You must already have attended a Write the Docs conference. We do this to ensure that you know what a “Write the Docs event” means, for better or for worse. We run these events as not-for-profit experiments where we try to isolate the things that work well and avoid anything that degrades the experience. We take risks where others might be cautious, we focus on shared social experiences, and we do our best to make a difference in the community. Reading about this philosophy second-hand just doesn’t convey the full scope of how we operate. Therefore, personally attending and experiencing our community is key in understanding how our community works so that you can carry the message forward when you organize an event. You must have an established Write the Docs organizer mentor. We run Write the Docs events on a franchise model, where the local team is in control. They arrange the schedule, scope out the venue, plan the parties, and take care of anything else. This gives the event a local feel which is part of what makes it special: if you attend Write the Docs USA and Write the Docs Europe you will find significant differences – and that is intentional. However, to ensure some basic consistency between the different events in philisophy and structure, newcomers will be assigned a mentor from one of our long-time organizers who can provide guidance and answer any questions that might arise. Remember that organizing events is hard. There are many people that would love to run a Write the Docs event, but it is important to realize that can be harder than it looks. 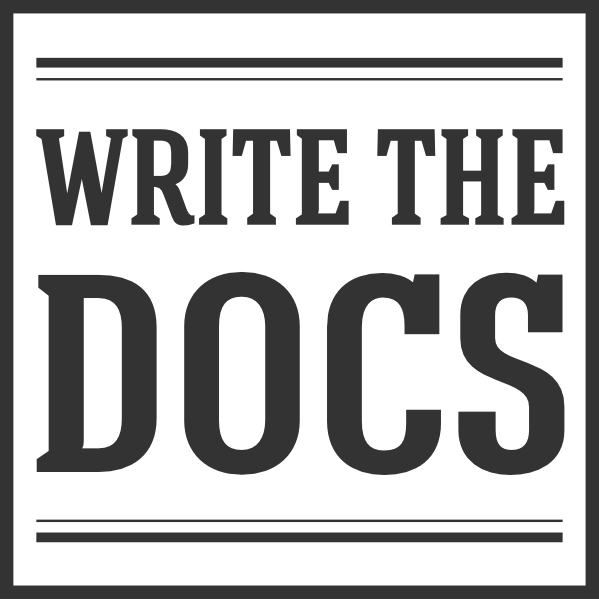 If you are going to run a Write the Docs event, you need to understand what it means to the community, to the people who spend time and money coming to our events, and to the people who spend hours preparing talks and tutorials. Reach out to us, and we will help as much as we can and you want – we want more Write the Docs events to happen all over the world. This document was heavily inspired by the JSConf version of the same.